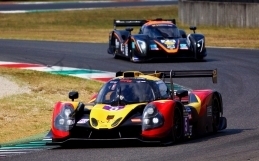 The Valencia-based by Speed Factory heads to Silverstone for the European Le Mans Series season opener in the frame of the FIA World Endurance Championship. 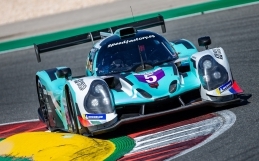 Briton Tom Jackson and Spaniards Álvaro Fontes and Jesús Fuster will drive the Ligier-Nissan JSP3 LMP3 at the historic Silverstone Circuit. By Speed Factory will take part in the opening round of the European Le Mans to be held at Silverstone, the famous British track built on the site of a WWII Royal Air Force bomber station. 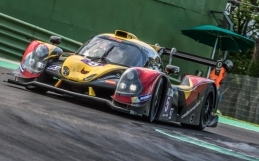 The team founded by Dalius Steponavicius made a brilliant debut in the new LMP3 class last year, when by Speed Factory ranked third in series points and stepped second onto the podium at Imola, in which was its second race in the series. 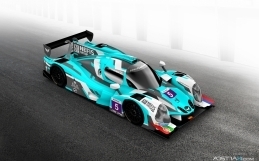 The new season brings many novelties as by Speed Factory acquired in winter a brand new Ligier-Nissan JSP3 LMP3, the most advanced car in class and a clear step forward. 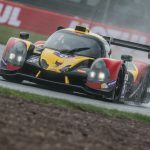 But, at the same time, LMP3 class is expected to be even harder as no fewer than twenty Ligier-built cars will be entered to run a full season programme. 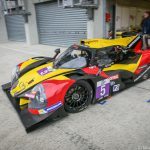 By Speed Factory draw positive balance during official ELMS testing carried out in March at Paul Ricard and ended night practice 2nd in class. The Spanish team took advantage to conduct pit stop practice but, finally, additional changes for the 2016 rules will not allow getting the most out of this valuable work. Young ace Tom Jackson and Álvaro Fontes will be joined by Jesús Fuster behind the wheel of the Ligier-Nissan at Silverstone. Both Jackson and Fontes already tested the car last month and on the other Fuster is an expert driver who also put valuable experience under his belt with the car in the last weeks. Established by Lithuanian rally driver, Dalius Steponavicius, in 2008, by Speed Factory was most successful team in Radical Masters series with wins of driver´s title in 2008, 2009 and 2012 and on its debut in the European Le Mans Series last year ranked 3rd in LMP3 class.